This friendly, accessible and stylish cookbook from a master chef will prove indispensable for all who love unfussy yet utterly delicious food. Simplicity is the keynote in this handsome recipe book, imbued with the flavours of the Italian countryside. For too long the ingredient in the store cupboard brought out for last minute dinner emergencies, pasta - inexpensive, ever versatile and often underestimated - lends itself to hundreds of fresh and different creations, especially when handled by the truly talented Theo Randall. He believes that the best pastas are the simplest: a plate of tagliatelle with butter and Parmesan can be just as magnificent as a ravioli stuffed with sweet potato and fennel. 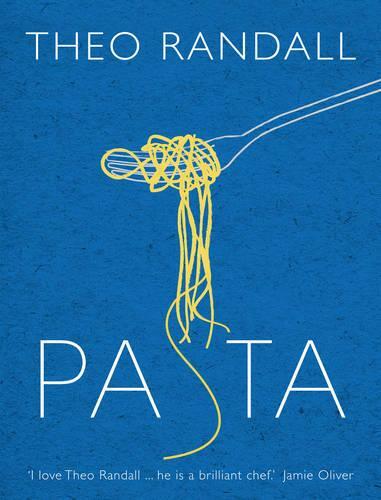 In Pasta Theo Randall brings us a mouthwatering collection of 110 recipes, all within the reach of the keen cook. Using a mix of fresh and dried pasta and the freshest ingredients according to the season, Theo presents a wide variety of dishes, many achievable in minutes. From Taglierini with Peas, Prosciutto and Parmesan to Linguine with Pesto, Potato and Green Beans, to Pansotti with Sheep's Ricotta and Walnut Pesto, and Cappaletti with Slow Cooked Veal and Pancetta there is a dish to please everyone. Pasta is destined to become a kitchen classic.